Did you know that it is a legal requirement to order an EPC before you can market your property for sale or rent? 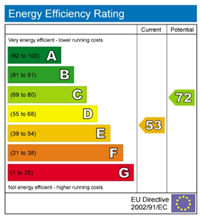 An EPC will tell a potential buyer or tenant how energy efficient your property is and highlight areas that can be improved. Your EPC must be carried out by an accredited Energy Assessor, so if you’re looking to sell or let your property please complete and send the form below for your free EPC quote. Our assessors are fully qualified and accredited with both the Royal Institute of Chartered Surveyors (RICS) and Northgate, and offer a fast, friendly service with a quick turnaround time.